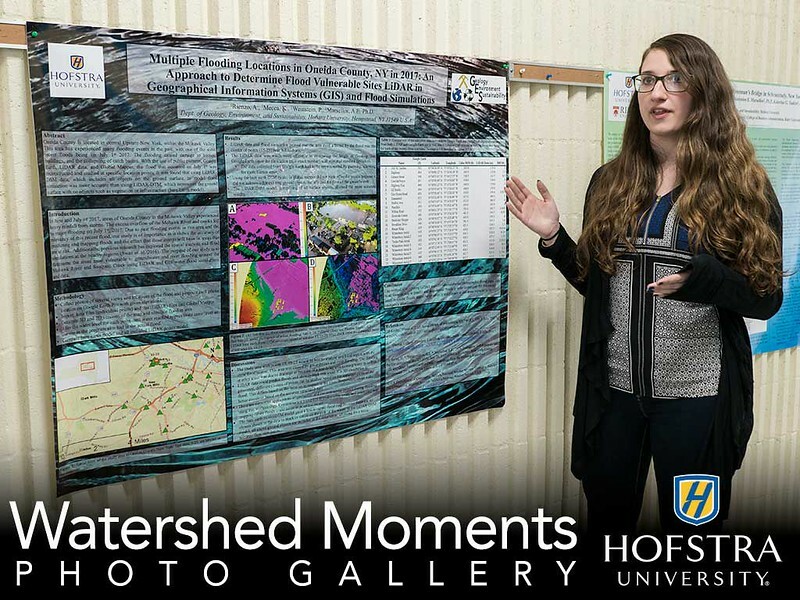 The students in Professor Antonios Marsellos’ geology class had spent the past several months studying a problem that has vexed scientists for centuries: how to help communities predict and prepare for flooding along the Mohawk River in upstate New York. But it was a chance encounter during a trip to a conference to present their research that drove home the value of their work. 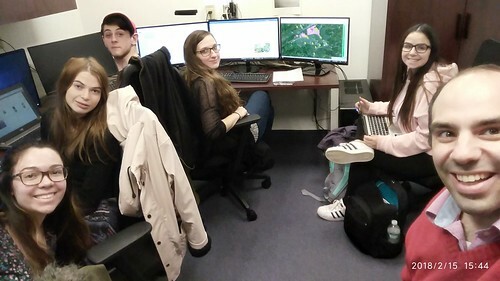 During the course, Geohazards: Analysis and Prediction, students worked in teams to analyze different parts of the region and sets of data, using technology such as Google Earth, Geographical Information Systems (GIS), Light Detection and Ranging (LiDAR), and atmospheric and hydrologic sensors. 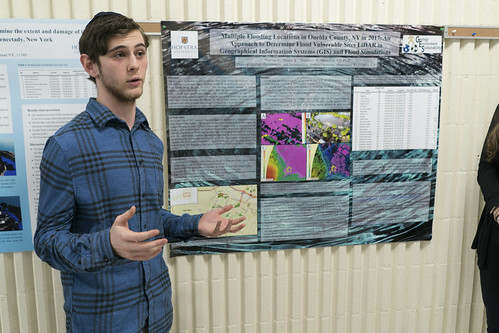 Geology major Scott Lakeram ’18 was part of a team focused on the city of Schenectady. “We looked at water discharge data and weather data from local stations around the area,” he said “We ran stats on the data and found ultimately that the information can help us predict future flooding events.” The ultimate goal, he said, would be developing an app for predicting flooding in the area. 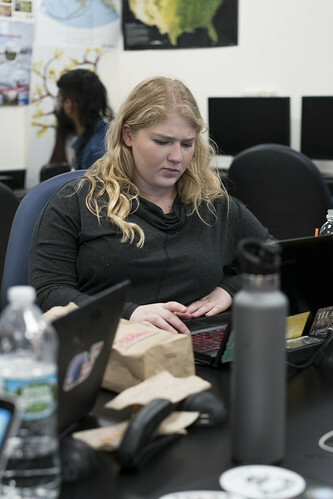 Mahoney and Sally Louise Roscoe ’19, a sustainability studies and geography major, were on a team that used GIS and LiDAR technology. 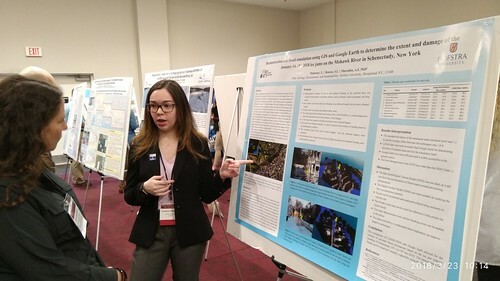 "I’d never been to a conference before and I’d never done my own independent research. It was an amazing experience,"
The group booked a hotel along the river they had spent so many months studying. Marsellos said that interacting with area residents was among the most valuable parts of the experience for the students.